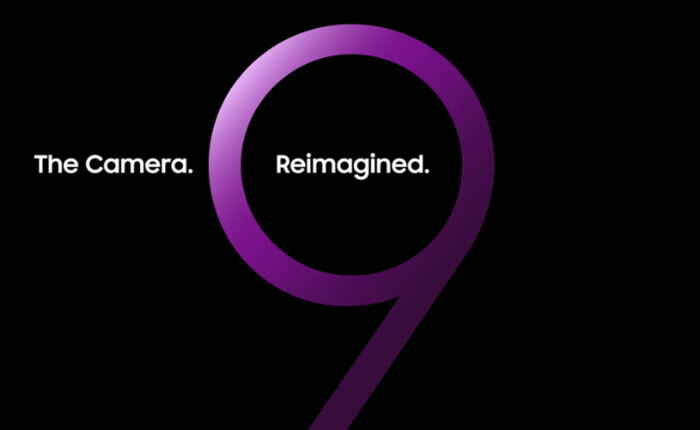 Samsung has sent out invites for its Galaxy S9 and S9 Plus launch event. The Samsung Galaxy Unpacked 2018 event will be held on 25th Feb, a day before the start of MWC 2018. For those who can’t be at the event it will be streamed live on Samsung.com. The official Samsung news site includes an animated version of the invite but little in the way of further information. However, the animation is definitely a teaser, and knowingly Samsung writes “a picture is worth a thousand words,” directly below it. In the short looped animation, we can see someone slowly and smoothly draw out the number 9. Some text appears over the finished character – “The camera, reimagined”. Within the accompanying blurb there is one further sign of intent, Samsung says that the new camera will “redefine the way you share your moments”. A recent article on XDA reckons that the S9 and S9 Plus will utilise “some variant of the ISOCELL Dual”. This is a new sensor sketched out, alongside the ISOCELL Slim, ISOCELL Fast and ISOCELL Bright, on Samsung Semiconductor’s mobile imaging pages. As well as excellent photographic qualities the sensor is capable of ‘super slow-mo’ video capture. It is possible that the ISOCELL Dual, which can mix and match various sensors, could include the headline feature of the ISOCELL Fast which record 1080p video at 480fps. A version of the Samsung ISOCELL Dual features in the Galaxy Note 8. All indications are this is a tweaked S8. So another sub £30 camera in a £600+ phone,which means other parts will cost more but the camera will be advertised the most despite its very low cost,and all the fans will defend it to the ends of the earth. No wonder that in the real world the S8,iPhone 8 and iPhone X sales were less than expected and more and more people are keeping their phones longer.Another bean counter led by the numbers phone raiding the parts bin with more PR bumpf. Samsung has been accused by Italian regulators of actively gimping battery life so to force people to upgrade quicker, which is no wonder as research is indicating the lack of true innovation is dampening people's excitement on spending another £600+ on these phones. More people seem to upgrade if the phone goes kaput and more people are buying cheaper phones. Can never understand peeps spending so much money on phones , can buy a whole computer for less than some of these damn things. and half the damn place is full of mobile phone articles , sorry , I'll hang up now. Nexus 5, best phone I've ever owned.